Connew, Lieutenant K.F., B.E.M., M.I.D. 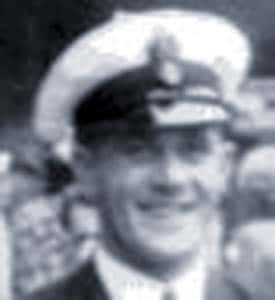 Lieutenant Keith Connew joined the New Zealand Division of the Royal Navy as a Seaman Boy in 1934. After a year of basic training at HMS PHILOMEL, he joined the cruiser HMS DUNEDIN for a little over a year before being posted to the cruiser HMS ACHILLES in early 1937. While onboard that ship Connew, by then an ordinary seaman saw action at the Battle of the River Plate and consequently was Mentioned in Despatches. Apart from a brief time in the armed-merchant cruiser HMS MONOWAI he remained with HMS ACHILLES until early 1943 when he joined HMNZS GAMBIA which was based out of Ceylon, remaining onboard until the end of World War II.